Our government seems intent on setting on the same path as Fidel Castro sent his nation back in the 50’s. As a result they’re still driving the 50’s cars they had then. Advice? Get a great vehicle, one that will last, because by the time they get down in DC nobody will be building or buying new ones. Follow On: I guess I ought to start here: Billy, I should have mentioned in my argument last night, that I think your reading of the SOLO crowd to be dead nuts on. My only point in the discussion of the last few days is what I see as a misidentification of the problem we both see. I should also point out, while I have you, that I found your post on finding who ended up with your LPC quite touching. I don’t intend equating these two situations, but about as close as I can come to that experience is finding a guy in Ohio who was, last I knew, still using the little Apache Chief pop up camper our family used as I was growing up. Thing’s coming up on 50 years old, now, and it’s still going strong. Amazing. I spent a lot of happy summers in that thing. The point I’m making, here; It’s a rare thing, when bits of our very personal history revisit us… rare that we get a glimpse of what’s happened to what were once landmarks… very large parts of our lives, and encouraging to know that they continue to exist, for reasons I don’t think I have the words for. Caption this: A second place at OTB’s caption contest. When we as a nation came out of the depression, we conservatives were told that we had to hide that conservative light under a bushel, as it were; we had to be seen as being more like liberal Democrats. More intelectuual, and less bound by principle. And we did become just that. The direct and undeniable result of following that advice, was our political exile for 40 years. It was only when Reagan came along and started actually being conservative, and reliant more on our principles than our smarts, that Republicans started making headway. The ‘moderates’ led us astray, both then, and more recently. These are, of course the same folks that the press and the left (but I repreat myself) consider the smarter among us… at least until they get elected. When Democrats moderate their stated positions in election seasons they tended to do fairly well. When Republicans moderate their stated positions in election season, they lose their backsides every time. What does that tell you? It interests me that we’re getting so very much traffic on this conversation… both BitsBlog and OTB; both of which are getting comments from readers at a rate neither of us have seen recently. It tells me, for one thing, that Wurzelbacher has struck a nerve… and harder than I had estimated when I wrote my posts on the subject. Well, yes, exactly. The party leadership didn’t see it that way, alas.I wonder if we might prevail on them to rethink that point? Will it really require another McCain-type loss to get their attention, I wonder? As an adjunct to this, Rasmussen is reporting that 60% of Americans think government is the problem, not the solution. And isn’t that point at the heart of Wurzelbacher’s message? Here’s Newt in your eye: James Joyner says Newt Gingrich was at CPAC this morning, and has details. Newt makes my case for me as regards there being a major difference between Republican intelectuals and CONSERVATIVE intelectuals. 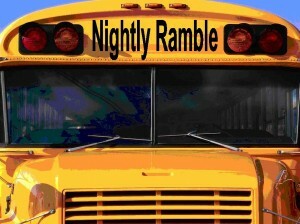 BEEP BEEP: BBCT to Boortz, who offers us a nifty little bumper sticker: (Does anyone even say nifty anymore?) If Boortz isn’t on your reading list, he should be. Admiral, they’re laying a smoke screen: Yes, I saw the showboating vote on the ‘Fairness Doctrine’. Trust me, this is a smokescreen. Look up the word ‘localism’. 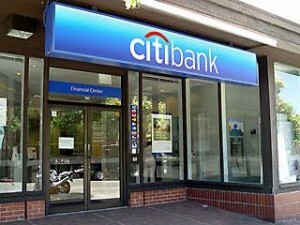 The Fed Buys the Citi: By now, you’ll have noticed that the federal government now owns about 40% of Citibank. We have written about Citi and their political connections several times previously. What’s happening here is that the Democrats who have been in Citi’s hip pocket for decades… or is it the other way around… are not about to let Citi fail because of that relationship. Bottom line: this is political payback for political support. Doesn’t it feel good to know your tax dollars are going to political payback? Oh… should I mention their values had dropped 20% by noon? More Tea, Vicar? Chuck Simmins is doing a bang up job trying to list all the Tea Party gatherings. If you know of one he’s not listing, drop him a line.